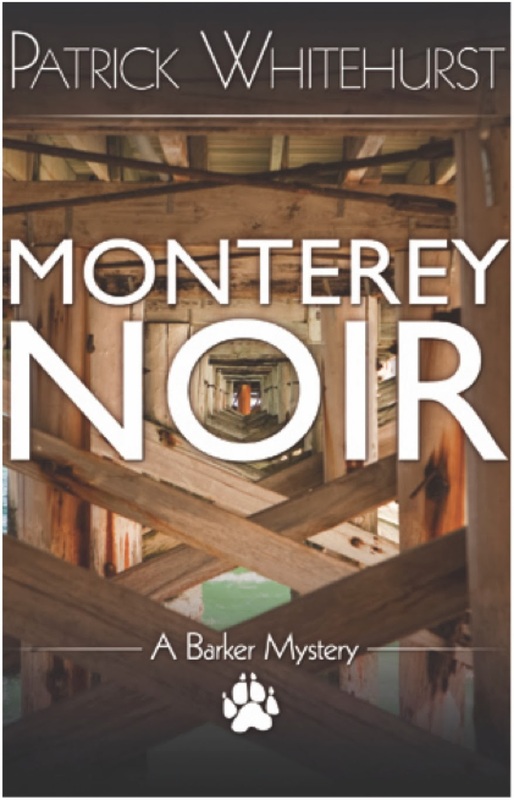 Here's a very fun treat: Patrick Whitehurst - the author of the excellent (and recently released) Monterey Noir reads from his work! Not every hero lives in a mansion or works from a smoky, hard-boiled office. Enter Barker, a mysterious man with no memory of his past. 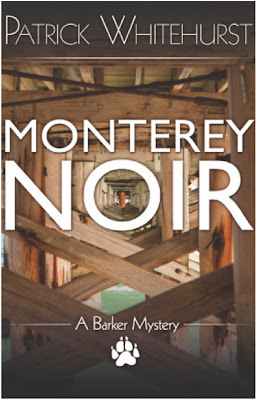 Ferociously handsome and acutely observant, Barker makes his home under the soggy planks of Old Fisherman's Wharf along California's foggy Central Coast. His closest friends are an assortment of stray dogs, ranging from a large Rottweiler to a tiny Shih-Tzu, who live with him. Adventure and intrigue have an uncanny knack for crossing Barker's path. In the first entry of the series; Nickel, Barker’s sole human friend, bestows his makeshift home upon the man and his dogs just before dropping dead. 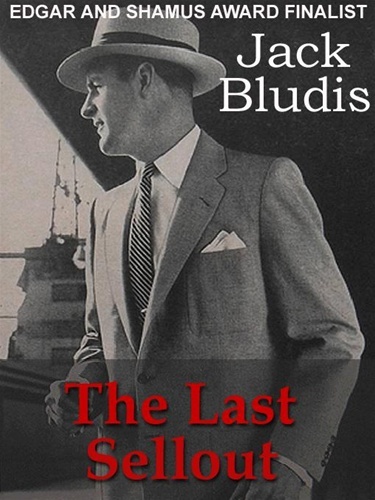 It’s up to Barker to honor Nickel’s last wish, to atone for his sins, which doesn’t prove an easy task. Meanwhile, forces are at work in other parts of the fog-swept city, which will lead the homeless detective and his dogs to a deadly confrontation in the heart of Monterey Bay itself. Patrick Whitehurst, born on the Monterey Peninsula, currently lives in Sedona, Ariz. As a journalist, he's written hundreds of stories for newspapers across the Grand Canyon State, as well as two regional non-fiction books. Whitehurst can be found online at www.patrickwhitehurst.blogspot.com.